I almost cried today. I didn’t expect that. I’m not emotionally tough, but I am not very sensitive either. I watched a drama-romance with a tragic science fiction story behind it called “Never Let Me Go”. It dwells the top 10 most boring things I’ve seen in my life, but yet I almost cried today. Definitely not during the film but hours before that. “E agora, vai?” (What about now, will it go?) is my newest acquisition, it is from André Torretta and it talks about Brazil’s current development situation, how it got here, and what’s the perspective for the next 10 years. And is this dull-at-first-sight book that brought tears to my eyes. But don’t be fooled by the sight, these tears didn’t arise from sadness, these are tears of joy, tears of love, tears of compassion and gratitude. The truth is that Brazil is doomed, but doomed to succeed! I’ve read only 7 pages of it, but it was enough to squeeze my heart in a way that seven volumes poems couldn’t do it. Because it talked about what I love in economics; about what no news program, no gossip magazine and no technology website talks about; stripped of rumours, myths and everything one would love to add as a little spice just to make it a little more interesting, just to increase the sales. It talked about the preoccupation with real life, about real people living in real misery. It’s concern wasn’t about how to sell them something, it was about how to feed these people, how to keep them alive, how to give them a dignified life. That’s the beauty in economics; that’s the captivating insight, the heartbreaking truth that will make you look at society with different eyes. Then you will stop saying things like “the system that dominates everything”, “we are puppets of the evil system”, these bunch of conspiracy theory stuff backed by poor misconceptions that mean nothing and start looking at our world as a society, composed by citizens, each with an individual task that adds to the welfare of society itself. Then you understand that your role in the city is to bring value to people’s life. When you begin to make the life of someone else better, you then improve your own life. The first and critical preoccupation is with people that have no idea of when their next meal may be. We are accustomed to this view of cities and cars, computers and restaurants, buildings, pavement, electricity, piped water, toilet. We don’t even imagine that there are people, and I am not talking about a small minority, a lot of people, who have NEVER SEEN anything like that. We live in the future but we have no idea of the absurd number of people who have never left middle ages, some didn’t even get there yet. They are the target, they must be reached now. Brazil is one of the leading countries in income inequality, but during the last two decades a great distribution of wealth has taken place. The country is growing, unemployment was cut in half and in 2008 more than half the country was already part of the middle class. But the piece of news that almost made me cry, that touched my heart and moved my soul, wasn’t any of these ones. It was the one that stated that by 2016 misery will be extinct from Brazil. We still have three years to go, but isn’t it wonderful? Isn’t it breathtaking? Isn’t it a marvellous piece of news? What an exhilarating moment this of the extinction of misery in my fatherland! Blessed be this day!! The day all these people portrayed in Brazil’s classic literature won’t exist anymore, at least not in that way. The day where in Brazil no man will die of thirst or hunger. It made my day. I was leaping on the inside. That’s a stupendous achievement, but the work is far from finished. According to Goldman Sachs, two billion people in the world will leave the misery line until 2030. It is good because in 2013 things will be better for a lot of people. But how sad it is to know that right now much more than a quarter of the world population live in misery, and know that it might take more than 15 years for their help to arrive. It was sad, but nonetheless I am an optimist. I couldn’t stop thinking of the world of 2030, where misery would be on it’s way to be extinct from the world. 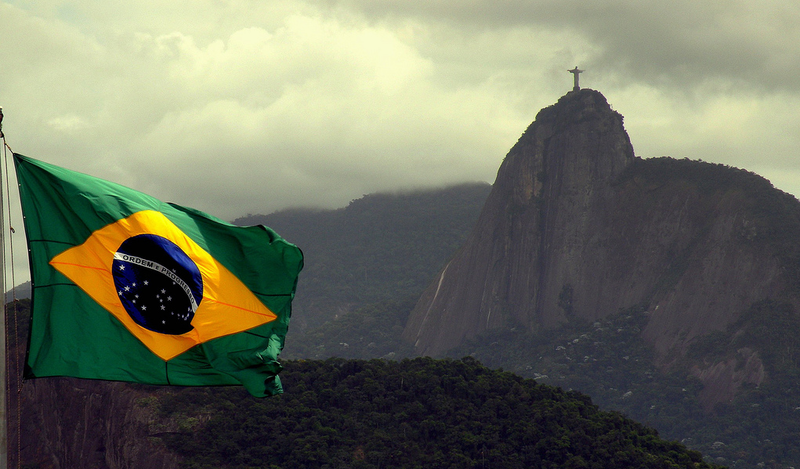 I couldn’t take out of my head the image of a Brazil free of misery in three years. I was so excited I had to talk to people. I had to tell them the good news, it was beautiful! But then people don’t always think like you. I ran to tell someone about it and the person’s response was “O yeah? What do they say they are gonna do? Who are they? Are they God to perform such a miracle?”, “But the government is working, things are getting better!” , “The government is too corrupt”, “But look, the country is going forward! It will mean a lot for these people who were in the state of misery”, “It is said that now the world is worse than ever, and that it is getting worse every day. Back then society wasn’t like this.”, “Misery will disappear and you are saying that the good old times were better? !”, “Look, the problem is that very few people really care for those who are in misery, so nothing will ever be done here”. No need to say I was about to explode. But today I learned that if people have their mind made up, it doesn’t matter how good you argument may be, it just won’t convince them. If you look carefully you will notice that none of the arguments that were used to discredit the information were neither accountable, measurable nor backed by any fact or reasonable statement. The arguments are all assumptions based on nothing more than opinion (Even the corruption one. The proposition was “Government is corrupt, so it will do nothing”. But that’s a fallacy. The fact that there is corruption in the government doesn’t mean the government does nothing in the country). But there are pessimists everywhere. Their pessimism make them blind and unable to see the advances, unable to see the change. There is a quote in the book that is very well worth quoting here. It touches exactly the point that the person said government’s help would be insufficient. Brazil approaches the misery problem with social programs. “Bolsa família” (Family Bundle) is a pack of social benefits for families in state of poverty and extreme poverty. It guarantees families an income, productive inclusion and access to education, health and public services. It is saving people. When you include people in the race track you give them a whole new horizon. “Work ennobles the soul”, grandma used to say. And it is very true. When people are working they move the gears of the country, their contribution to society creates it’s welfare, and then it’s capacity is increased, because as John Maynard Keynes concluded: in business there is no stagnation, whatever doesn’t grow will fatefully fail, and I firmly believe that in countries the matter is unfolded likewise. Work does ennobles the soul and Abraham Maslow had something to say about it. Maslow’s psychological theory on the hierarchy of needs was eternalised in the famous Maslow’s Pyramid. It portrays man’s most basic needs at the bottom, and more sophisticated necessities at the top. 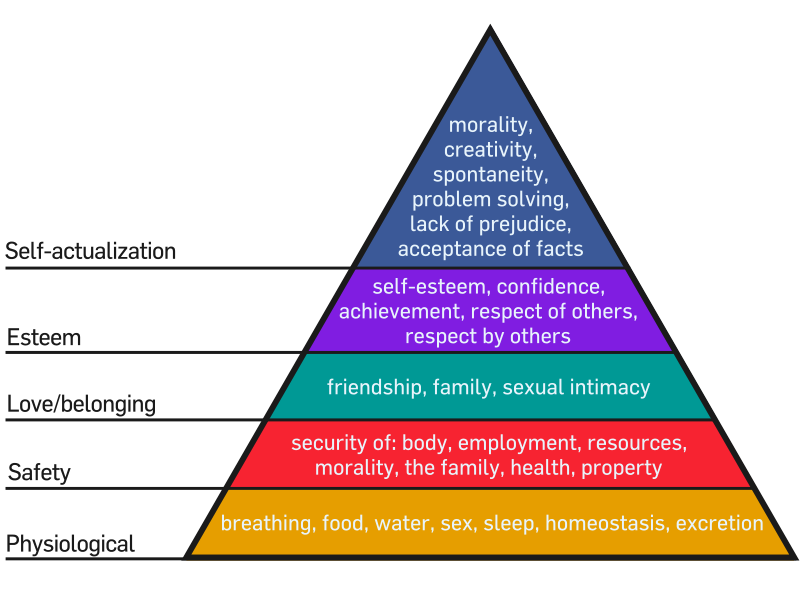 Maslow said that more basic needs have to be met first before the individual will be able focus on higher desires. In other words, if you don’t know for sure if tomorrow there will be any food at all on the table, you cannot have interest in education, political conscience, freedom of prejudices, despise for violence or philosophical contemplations of any kind. A good country is a country of good people, and people will fail in every aspect they are not taught. Once a person can eat —oh my God, how many people can’t even do that— then she can receive education, can be included as an important member of society, achieve public recognition, creativity and self-esteem. Brazil isn’t the country of the future anymore, this future has come. Middle class is growing and misery has it’s days numbered. There is still a lot of work to be done, but let me tell you why everyone should stop with this good old times bovine excreta: My girlfriend lives ten thousand kilometres away from me, nonetheless I see her every day. My mum travelled to Costa Rica when she was young, there she wrote letters to my grandmother, she came back and got here before the letters. Back then there was no electricity, forget reading at night, forget alarms, forget air conditioning and conserving any food in your freezer or illuminating your street for safety. There was no bathroom with flushing toilets, people got diseases from their own faeces, and they died of these diseases! Ah, a whole bunch of diseases had no cure nor treatment at all. In Victorian times half, I said half, the children died before 5 years of age. Landlords commanded everything and slavery was in full swing (there is slavery still today, imagine how it was 20 years ago), not to mention racism and prejudice against women. In the 90’s near half Brazil’s population was in state of absolute poverty (43,4%). Now in Brazil, 52% of the population is part of the middle class; in the last 10 years the number of Universities grew 56%; an enormous number of people who have semi-literate parents have finished university studies; women’s salary grows at twice the rate of men’s, just as black people compared to white people; the percentage of women activity raised from 13% in 1950 to 44,1% in 2000; only between 1993 and 2011 60 million people left the line of misery, and the list can go on and on and on.